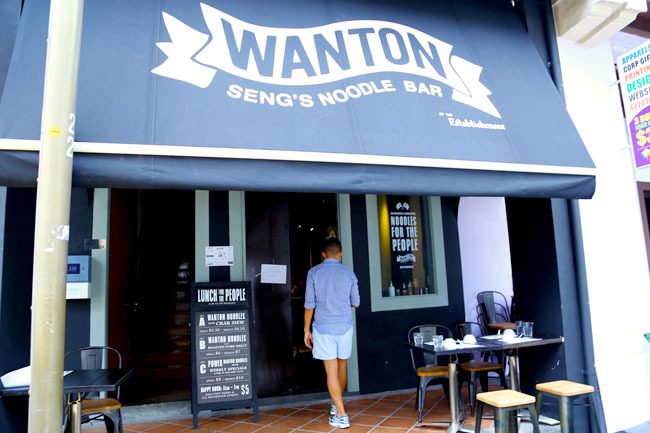 I would start by stating that my stars probably didn’t align with Wanton Seng’s Noodle Bar at Amoy Street. 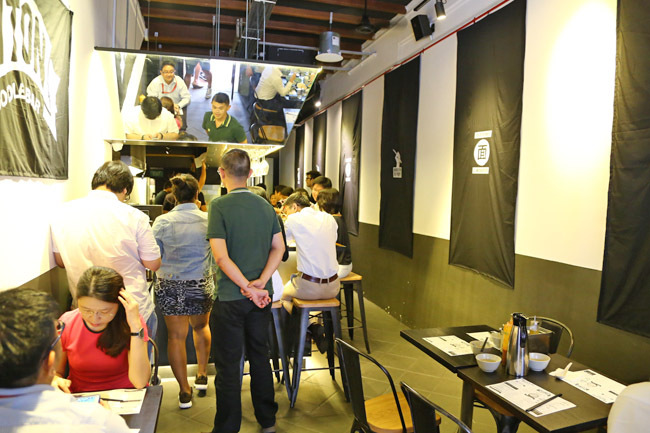 Being a huge fan of wanton noodles, I wanted to make a beeline for this local modern noodle bar, but was disappointed again, and again. 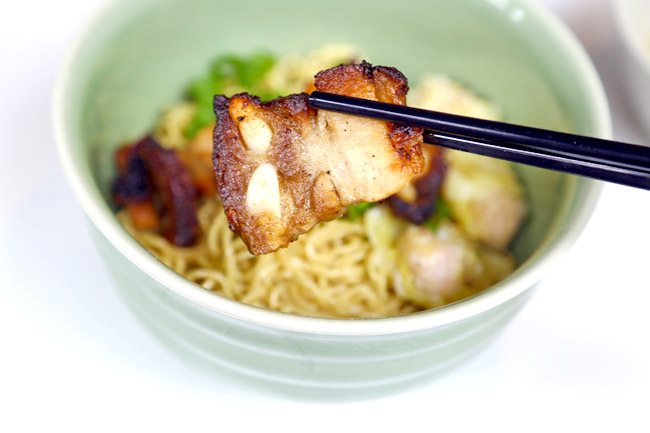 There is a part of me who is always rooting for a noodle bar in Singapore: If Momofuku can achieve such success, why not a version of our very own hawker food? The same friend asked why I would visit a restaurant, after meeting hiccups the first three times. My reply, “I am persistent. I wanted to give this another chance.” Reviews have been positive anyway. 1st visit: The noodle bar was sold out by 2pm or so. Even though the Facebook stated opening hours as 11am – 11pm. “Nothing left” was their reply. Fair enough. 2nd visit: Closed for photoshoot (suddenly). Went down early enough, and their Facebook was updated some time only AFTER the shop was closed. At least an effort to inform. Back to review proper. 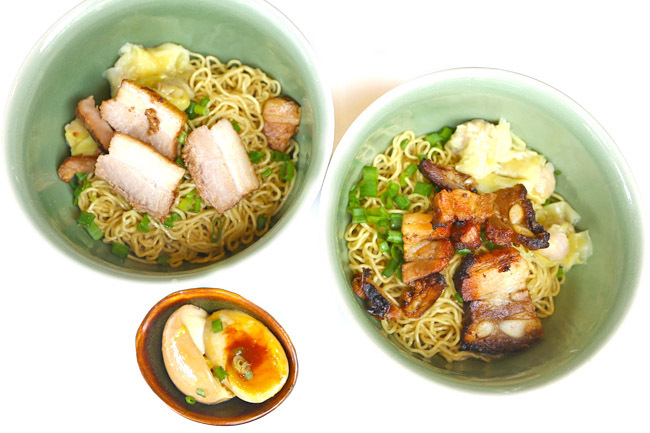 3 sets are usually available during lunch – Wanton Noodle with Char Siew ($5.50/$6.50), Wanton Noodles with Roasted Pork Belly ($6/$7), and Power Wanton Noodles ($9/$10). I use the word ‘usually’ – some may not be available. Served in IKEA bowls anyway – if you are interested to know. 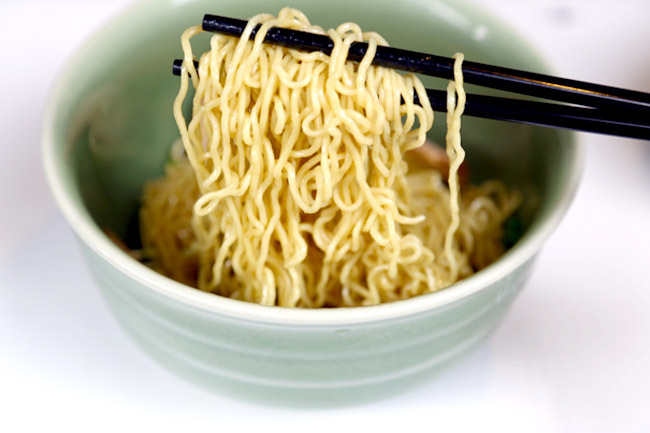 Let’s just say we liked the texture and the taste of the noodles, especially when the special chilli sauce was added. It kind of reminded us of ‘Fei Fei’, in a good way. Promising. 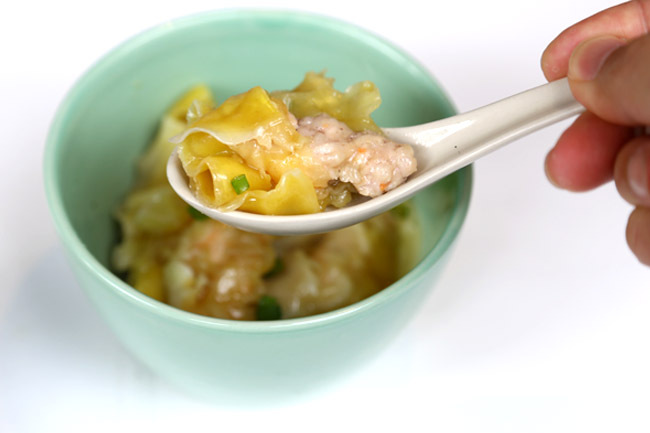 BUT, unfortunately, the shrimp dumplings were sour. In dialect, we call that ‘chao sng’ meaning ‘not fresh’. 4 of us on the table didn’t quite believe it would happen, until we took a bite and had to spit the rest out. You could imagine the taste, wasn’t very pleasant. Both the roasted pork belly and char siew were dry, unfortunately for us (and them). The waiter from Wanton Seng’s Noodle Bar asked for our receipt without giving a reason, which we were quite perplexed about. In the end, they waived the charge of the dumplings. Well, the good thing is, I am confident that they will do something about customer feedback, and you should land up with fresher tasting dumplings in future. Good hawker food is not carved out in a day or week, and we look forward for better things to come. *Daniel’s Food Diary pays for food reviewed unless otherwise stated.